Whether or not Val Majewski will begin the season with the Revolution, or play for them at all this season is very much up in the air…in a good way. Last weekend Majewski was moved from the minor league side of Texas Rangers camp to the Major League side, and replaced leftfielder David Murphy in the ninth inning of a road game against the Los Angeles-Anaheim Angels of Orange County or whatever they’re called now. Majewski singled off right-hander Jeremy Berg (AAA guy) in the top half of the inning, and was left on base although Texas scored thrice to take a 5-4 lead. The Rangers allowed two in the bottom half however and the Angels escaped with a wild 6-5 win. Unfortunately, Majewski also made an error in left in the bottom of the ninth. Albert Pujols also hit his fourth home run of the spring off Texas starter Mark Hamburger, who’s name is more delicious than his pitching. 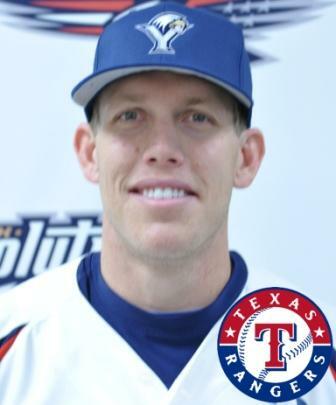 While it is highly unlikely Majewski will make the Rangers MLB roster, his appearance on the MLB side of camp may bode well that there could be spot for him at Triple-A Round Rock to begin the season, where he ended last year after signing with the Rangers from the Revs in late July. Rumor has it should Majewski not be employed by the Rangers coming out of spring training, he would not retire and want to play, making York the destination for one final go-round with Etch. 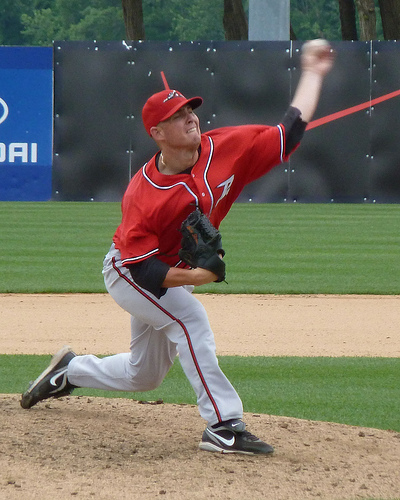 Majewski is now the third player from last year’s team to be in big league spring training this year, joining pitchers Scott Rice (Dodgers) and Mike DeMark (Diamondbacks). With spring training winding down we should know soon. The Rangers will play an exhibition game at Round Rock on April 2, and their season opens at home against the White Sox on April 6. Round Rock begins the regular season on the road, at the Iowa Cubs on April 5. Stay tuned. It took four years, but Corey Thurman is now his own logo. 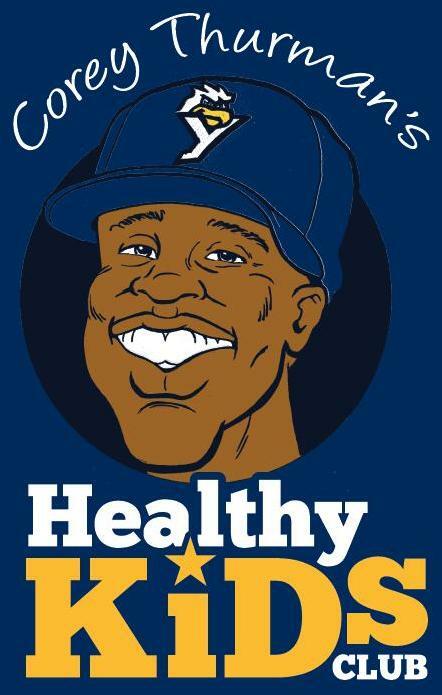 The Revolution unveiled “Corey Thurman’s Healthy Kids Club” this week. It’s a free program to join, and the prizes for living healthy include free Revolution tickets and a lunch and autographs from Corey. Definitely worth checking out if you’re looking to incentivize your youngster. Check out all the details here. While we are on the subject of indoctrinating your children into being Revolution fans, there’s also still plenty of time to sign them up for the Rookie Revs, the official Kids Club of the York Revolution. For just $25 the perks include tickets, cool gifts, special behind the scenes tours, playing on the field, an autograph session and more! Click here for all the details and to join! 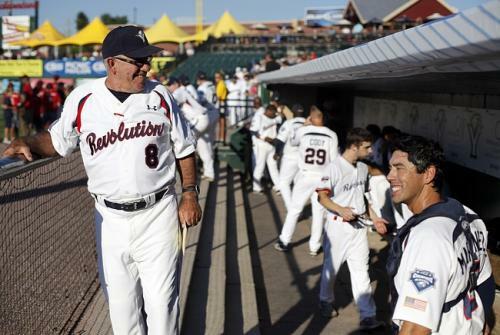 If your thirst for Revolution baseball is so unquenchable you cannot wait until the home opener on May 1 (or for those of you flying to Texas for Opening Day on April 26), the team has announced two home exhibition games which will be open to the public. This is in addition to the Fan Fest game against the Susquehanna/Central League All-Stars on Saturday, April 21 at 1 p.m. 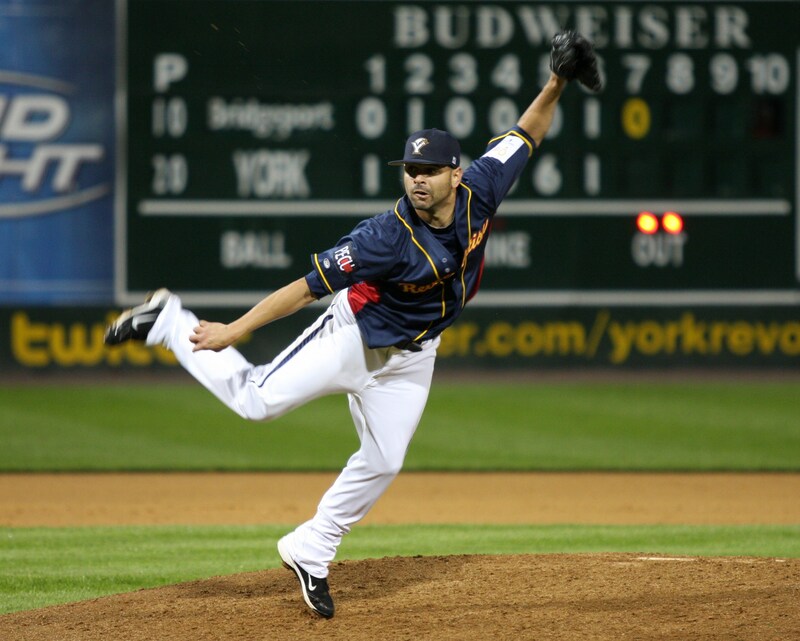 The Revs will take on the Southern Maryland Blue Crabs at 1 p.m. on Thursday, April 19, and the Lancaster Barnstormers on Sunday, April 22 at 11 a.m. Both games are at Sovereign Bank Stadium, and admission is free. Tickets to the April 21 game go on sale on-line and in-person at the Apple Chevrolet Ticket Office this Saturday, March 24. Tickets to the Fan Fest game are $5 for the general public and $3 for Revolution season ticket holders. $1 from each ticket sold will go back to the Susquehanna and Central Leagues, so definitely come on out and support your local amateur leagues. 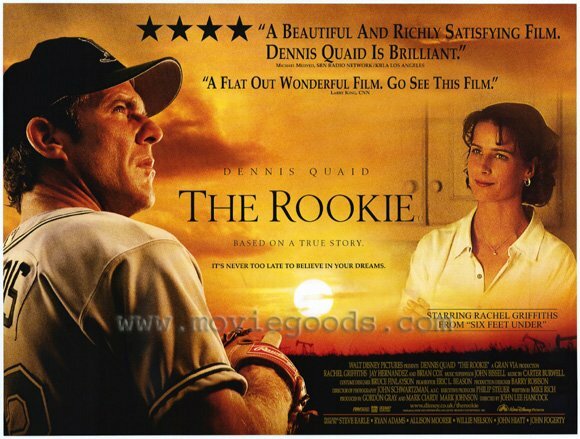 According to the movie poster for The Rookie, it’s never too late to believe in your dreams. While it might be unrealistic to expect to make it to the Major Leagues like Jim Morris, (played by Dennis Quaid) why let 40 bucks stand in the way of possible baseball stardom? The Revolution are again holding their annual open tryout on Saturday, April 7, with the opportunity for players to be invited to Spring Training with the club. Who knows, this could be the first step in an unlikely Hollywood story for you or someone you know who needs one more shot to show what they can do. Check in will begin at 9 a.m., and the workout will start at 10 a.m. The cost to attend the tryout is $40, a fee which is non-refundable. Players must be at least 18 years of age to tryout. The tryout will take place on the field at Sovereign Bank Stadium. 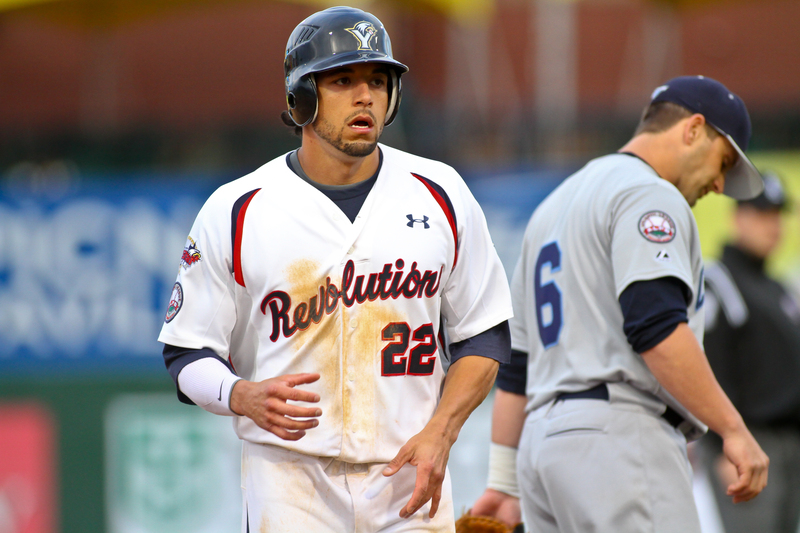 Players must provide their own equipment for the tryout, other than batting helmets, which will be provided by the Revolution. Click here to register. Players are encouraged to register in advance, but day-of registration will be allowed if spots remain. At long last, Jake Stevens is on his way to York.